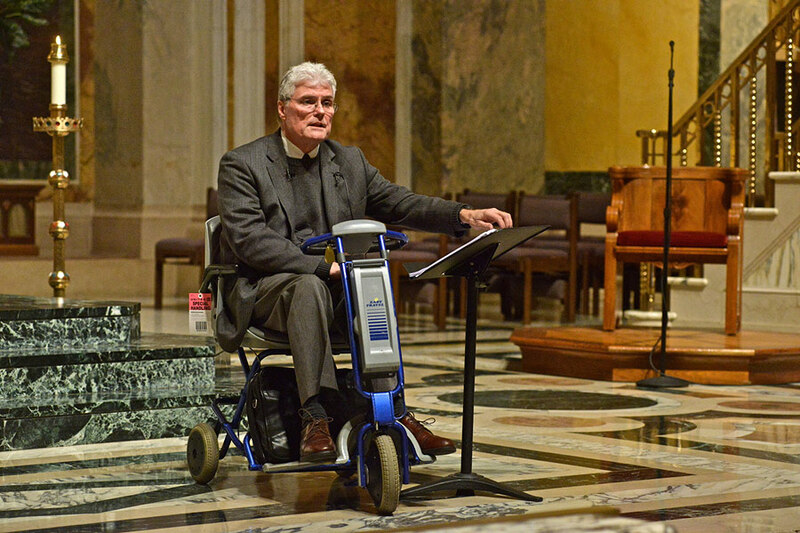 keynote address at Saint Matthew's Cathedral to the Adult and Family Rally for Life prior to the 2016 National March for Life, On January 22nd. After my address, many people asked for copies of my speaking notes. I promised to post them on the HumanLifeMatters blog. They are below. 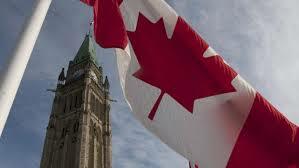 Although I am a Canadian, I have an abiding love for America. 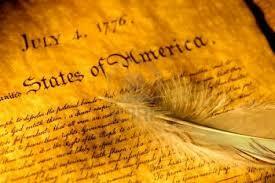 In fact, for the longest time I kept a copy of the Declaration of Independence hanging on my wall at home. I believe the collective wisdom of America’s Founding Fathers intentionally placed the Right to Life first because all other rights depend upon it. 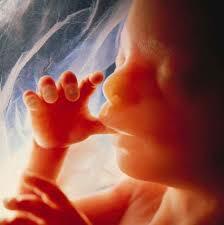 The Right to Life is properly the first and highest human right endowed to every human being by their Creator (God). It begins with that spark of life we commonly call conception. It is the highest right regardless of what any court or legislature may decree. There is a higher law and Law-giver (God). To rob someone of their right to life is murder. Never mistake licence with Liberty. The legitimate pursuit of happiness is never gained by killing someone. America may be the land of the free (as your national anthem says) but that does not (and must not) include the freedom to choose death for another life. The 1973 Supreme Court decision, Roe versus Wade legalized that very thing in the form of abortion. The death toll from abortion has surpassed 58 million unborn children. It wounded countless parents physically, emotionally and spiritually. 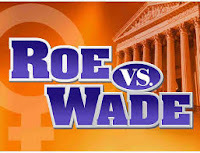 A woman can have an abortion for any reason at all or no reason whatsoever. I believe the signers of the American Declaration would be horrified to learn American soil is polluted with the blood of its own children before they ever saw the light of day. Do not think I am removed from the tragedy of abortion. My hands are bloody too. When the abortion holocaust was just beginning in Canada, I pressured my girlfriend to abort our child. She wanted to get married and have our baby. We were 18 years old. I wanted to party with my friends, so I pressured, cajoled and emotionally abandoned her until I got wanted. For a short time we felt relief. We were told the usual lies that our baby was just a blob of tissue, that we did what was best – after all we were too young to be parents and we would always be poor. Here’s a truth: Nobody knew whether having a child as teenager automatically relegated us to a life of poverty. Here’s another truth: It was not a blog of tissue and that truth was known long before the abortion laws in your country and mine were changed. Even as an 18 year old teenager, I knew what my girlfriend was carrying within her was another human being. I was aware of early embryonic photography dating back to 1957. I saw the photographs. I knew the truth; I chose to ignore it. If we had let our baby be born there were many families who desperately wanted to adopt. We did not have to kill our baby. The relief and freedom from fatherhood did not last. I also had a conscience. Eventually 18 year olds grow up (at least they should). Four years later my daughter was born. I loved being a dad (I still do). I loved having a family (I still do). But even now as an old man there is a sadness knowing I did not protect my first child, that I was directly responsible for that baby’s death. The mother of that aborted baby grieved her abortion for decades. I know. She has been my wife for 42 years. That abortion is the biggest regret of our lives. Happily, we have been forgiven by none other than God. I know from personal experience the truth of those words. If there’s anyone here who has had an abortion or been involved in one, and not yet confessed it and received absolution, now is the time to set things right with God, in the Year of Mercy. Participating in the March for Life is an important witness for life to a culture that has forgotten that every life is sacred. Not only does the March for Life decry the evil of abortion and euthanasia, it calls out for a better way that always affirms life, and never denies it. Any action or law meant to intentionally kill human beings must be adamantly opposed by people of faith and good will. The intentional taking of life can never be condoned or supported in any just and civilized society. What you are opposing are aberrations in history of western civilization. And yet in the span of my lifetime, both America and Canada have lost their Judeo-Christian morality about the sanctity of human life; the moorings have been swept away by a tide of secularism. It may be different in the United States, but Canada has, in large measure, turned its back on its Christian heritage and we are paying a terrible price. Every abortion in Canada is paid by taxpayers (whether they want to or not). 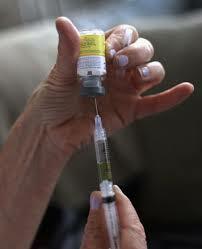 In the coming months, Canada will usher in a new phase of killing with legal assisted suicide. Last year, Canada’s Supreme Court struck down our laws against assisted suicide. They gave Canada’s Parliament 52 weeks to put in place assisted suicide mechanisms for Canadians with what they called “… a grievous and irremediable medical condition (including an illness, disease or disability)”. Would these parameters include mental illness or clinical depression? Yes, they could. And the individual does not need to seek treatment to qualify for physician assisted suicide. People will push the envelope. That is the direction my country is about to take. Is it what you want for America? Would that be consistent with the moral vision of your founding fathers? 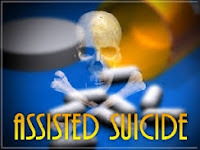 The cultural poison of assisted suicide is coming to America state by state. It is already in Oregon, Washington, California, and Vermont. There are currently bills before the legislatures of Maryland and the District of Columbia to legalize assisted suicide. Maryland’s Senate Bill 676 is to assist people with a terminal illness, to have assistance with their suicide within “certain” circumstances.Bill 676 defines terminal illness as, “a medical condition that, within reasonable medical judgement, involves a prognosis for a patient that will likely result in the patient’s death within 6 months.” Doctors are notoriously inaccurate at predicting when patients will die. And what does “reasonable medical judgement” mean? I am not a lawyer but there seems to be a startling feature in the Bill that says the “death of a patient by reason of self-administration of certain medication [poison] shall be deemed to be a death from natural causes.” I may be mistaken but didn’t we used to call that falsifying medical records? Is there a motive to avoid having to give evidence in “certain” legal proceedings? It’s all so questionable. But then, it usually is when it comes to killing people. Again, the bill does not define “reasonable medical judgment” and again let me say doctors are not very good at predicting death. Advocates of assisted suicide and euthanasia are masters of twisting words and using euphemisms to make evil appear good and good appear evil. They make death a blessing and living a curse. Be careful of language. Those who control language shape attitudes and set agendas. 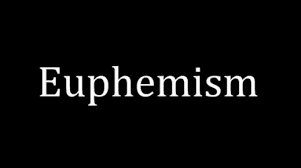 Effective use of words and euphemisms can disguise evil and muddle good people’s ability for thoughtful discernment. The phrase Death with dignity is designed to give the impression of compassion to euthanasia and assisted suicide and make killing respectable. Death with dignity is not achieved by injecting someone with poison when they are at their lowest point or starving and dehydrating them to death. That is abandonment not dignity. Let me tell you something about death with dignity: It is not an event rather the end of a process of having lived with dignity. Quality of life: Let me tell you something about quality of life. It is a moving target, It changes with time, circumstances and perspective. When I was twenty-five, if some clairvoyant told me that within a few years I would go from being healthy, able-bodied and athletic to being chronically ill with an incurable degenerative disease, that I would lose my upwardly mobile career and be forced to live on a modest disability pension, all before the age of forty – I would have said there’s no quality of life in that. I don’t want a life like that. Yet today, in my sixties, my life has quality. Why the difference? My standard for quality of life changed. Today what gives my life quality is to love and be loved. People talk about a right to die. Death is not a right; it is an eventuality that will visit us all.The American Declaration of Independence and even the United Nations declaration of Universal Human rights declare a “right to live.” Neither declares a right to death. I was diagnosed with multiple sclerosis in 1984 at the age of 30. For those of you who may be unfamiliar with MS, it is a neurological disease of unknown cause. It is incurable and often chronic. For whatever reason, my body attacks the fatty mylen coating around nerves causing scars that impair or stop signals coming and going to the brain. In my case attacks would impair various functions, then remit returning most but not all previous ability. I would go to bed each night not knowing what function I would wake up with or without and no guarantee lost function would return or how much if it did. Symptoms could last days, months and even years. It was like a terrifying roller coaster ride. - I would lose my ability to speak. - I would lose bowel or bladder control and dirty myself. - I would develop painful and frightening spasms. was so profound and unimaginable, my sorrow so deep, my heartache so sharp, that my judgment was clouded. I needed to safely grieve with the freedom to cry out, and not be helped with a death wish I might have expressed at my lowest point. People need to grieve a loss. They need to know that there are people around them who will uncompromisingly hold up the value of their lives – even if they cease to believe in their own value (especially then). A person grieving catastrophic disability or incurable illnesses needs help to rediscover their natural human dignity when they have lost sight of it (especially when they’ve lost sight of it). 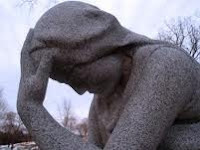 Throughout 30 years with degenerative MS, I have observed and studied grief – both my own and others. Grief will visit everyone. 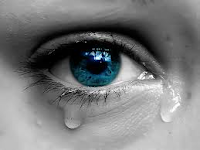 Maybe someone you know has grieved a loss, is grieving a loss at this very moment, or is about to grieve. Perhaps that someone is you. I want to address grief because unresolved grief fuels calls for assisted suicide and euthanasia. Let me say that again, unresolved grief fuels calls for physician assisted suicide. Grief is like a river that cuts through the course of human lives. 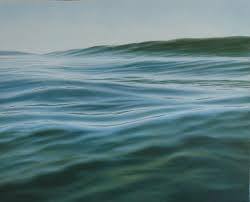 When the current in a river of grief ceases to move, it can stagnate and can become dangerous if internalized. Things that block or dam the flow of grief must be cleared away or broken though. People grieve differently depending on their personality and disposition, their culture and background, … and most importantly, their openness to the divine love of God through His Son Jesus Christ. Grief is distinct in that it is usually focuses on an object. That’s different from depression which may not have a focus. Depression and grief are often related but in my experience they are not the same. Grief that ceases to progress can settle into depression. Depression is dangerous because it festers and can become entrenched. Grief is dynamic because it still interacts to its surroundings and stimulus. Grief is expressive while depression tends to turns in on itself. Grief can express a multitude of emotions through music, writing, drama or dance. This is good. It indicates grief that is still fluid and moving. Depression can only express darkness of the human spirit. It is unresponsive. Because grief and depression are so closely related, it is important for caregivers and loved-ones try to keep them from melding together. 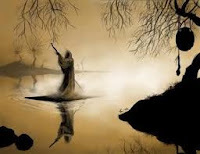 sufferer’s loved ones to keep the river of grief moving otherwise the sufferer can begin to perceive a perverse solace with his sorrow and move into despair of life. His despair can masquerade as destiny. It is a twisted perception, granted, but it is a dangerous state because death can become preferable to life. Fait accompli. Suicide can be seen as deliverance from physical, psychological, emotional, spiritual agony. 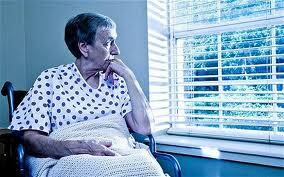 The isolation of the sufferer is observable by others, especially his family – that creates isolation for them too. They can feel cut-off from their loved one’s suffering. Suffering can create isolation that is difficult if not impossible to express. It deepens the sense of isolation. The sufferer’s loved ones see the anguish of the sufferer and they feel helpless to alleviate the pain. There are two anguished solitudes. My wife LaRee speaks of this. She once said “It is easier to be than to watch.” She believes it is more painful to helplessly watch my deterioration than to be the one deteriorating. Perhaps she is right: The thought of things being the other way round is too painful for me to contemplate. My mind simply refuses to go there! How many times have you heard someone say, “I wish I could trade places with him or her” as they watched a loved one suffer. But they cannot. They are vocalizing their agony of helplessly watching the sufferer. Of course, it is impossible to transfer actual suffering. A number of years ago my mother was dying of bone cancer. Her physical pain was well controlled. Her suffering was of an emotional or spiritual nature. But overall her symptoms were well controlled, yet I heard friends and loved-ones talking about her terrible pain. When I would rouse her and ask if she was in pain, she consistently said No. Friends and loved-ones saw her dying through the lens of their own sorrow. Sorrow and grief can distort reality. People grieve visually; they grieve in sound and in abstract ways. Perhaps grief raises its head at the sight a park, lake or even a flower that takes them back to an earlier and happier time before sickness or disability. Music played a huge part in my grief journey. There was a time when I was a musician. coordination in my right hand. This was a horrible shock. I played guitar, and at the risk of sounding boastful, I was very skilled. I grew up in a musical family. My mother taught music for over sixty years. 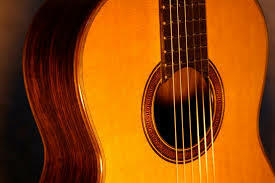 At any rate, about two years after losing my ability to play the guitar, I realized it was probably not going to return. And so, at an apex of sorrow, I took my beautiful, top of the line instrument and sawed it in half. My wife was horrified! She yelled at me, ‟What are you doing! You’ve lost your mind!” I put the two pieces of my destroyed guitar back in its case. We spent the rest of the evening in stunned silence. But I was not sorry. It was like a dam burst to let my grief move on. It was a letting go that started a first step ― the first of many ― that continues to this day in a long journey. I am continually encountering Christ along the way. He helps me redefine my sense of self within each new reality. No matter how you respond or what you choose there will be a cost. If you choose to move on with life, it will break your heart but not your humanity; if you give up and choose death under the guise of autonomous choice, it will break your humanity and damage the greater human community that you leave behind. The idea of independent personal autonomy is diametrically opposed to the concept of interdependent community. 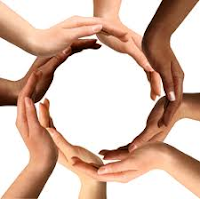 Words like family, neighbor, community, nation attest to our interdependence. One person’s actions don’t affect just them. They never do. If I choose assisted suicide it will not affect just me. It will affect my wife, my children, my grandchildren. It will affect my doctor because I will ask her to stop being a healer and become a killer. My suicide will affect my community and, in a small way, it will affect my nation by helping to entrench the notion there is such a thing as a life unworthy to be lived. I do not have a right to ask for assisted suicide because it will help to put in peril vulnerable people who will come after me. No matter how sick I become I still have a responsibility to the Common Good of society. I have a right to expect the best palliative care available and those things that will foster life with dignity even at its end. Human value is not derived from health, acquisition, ability, wealth or even sentience. It comes from merely being. Rene Descarte said, “I think, therefore, I am.” To his assertion I respond, “No, we are, therefore we matter.” To understand this is to understand human inclusion. immense love God has for us. My journey of suffering from degenerative MS, and my search for meaning in pain, brought me to the foot of the cross and the divine love that put Christ on it. Pope St. John Paul said that Christ invites us to unite our suffering with his redemptive suffering. I have discovered it to be true. 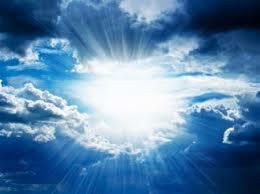 It is within His redemptive act we will discover divine love ― which is the purpose for which we were created. Suffering has the capacity to strip away all things extraneous to life and leave only that which is essential. Suffering taught me that at the center of existence rests a heartrending and beautiful mystery. Once that mystery has been glimpsed, everything else becomes a diversion, and irrelevance. That mystery is the light of Christ, illuminated by His divine love. It is possible to experience an illumination that enables the sufferer to begin to comprehend the glorious transforming liberty available to the children of God, even though we are being physically destroyed. Many people throughout history have discovered this including St. Francis of Assisi, John Milton, John Donne, Alexander Solzhenitsyn and millions of ordinary people. People in dire and miserable physical circumstances can experience shades of this liberty when in any human context they may not appear to experience liberty whatsoever. Yet out of their wretched surroundings can come salvation and joy. 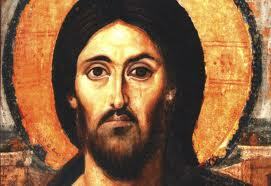 Christ calls them to unite their suffering with His suffering and transcend beyond themselves to become more like Him. Jesus Christ will make sense of our anguish if we invite Him into in to our lives and remain surrendered to His leading and sensitive to His voice and love. 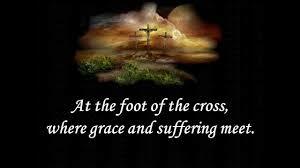 In and by His suffering I found meaning for my suffering. With such assurances of eternity I am called to be about the Lord’s business in the here and now (just as you are called). Everyone is loved by God – whether they know it or not. The point of life is love (both human and divine). Jesus said that the greatest commandment is “Love God with all your heart and with all your soul and with all your mind. This is the first and greatest commandment. And the second is like it: “Love your neighbor as yourself.” The church teaches that suicide (assisted or otherwise) is contrary to the just love of self. The Catechism tells us that suicide “…offends love of neighbor because it unjustly breaks the ties of solidarity with family, nation, and other societies to which we continue to have obligations.” It is also contrary to love for the living God. 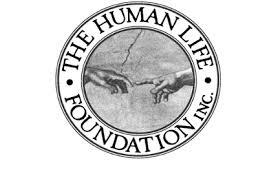 Whether I am disabled or not, sick or well, in the prime of life or the end of life, I am still responsible to the greater common good of the Human Family. We are not autonomous beings. I have no right to death. If there are any rights they lie with the right to life, its care and nurture ― not only my own but others around me and those yet to come. There cannot be personal autonomy if we also cherish community. There cannot be personal independence if we desire human interdependence. Lovingkindness is what defines civilized societies. But love needs the divine. Love without God becomes selective, coercive and arbitrary – turning the lives of the weakest and the unwanted into hell on earth. Human benevolence on its own is fleeting and fickle. The brotherhood of man needs the Fatherhood of God. blessed this nation. 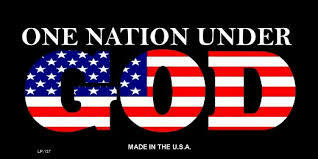 I believe He blessed America because it was one nation under God that tried to follow His precepts. The March for Life proclaims that self-evident truth that all men are created equal, that they are endowed by their Creator with certain unalienable Rights, beginning with the Right to Life. Every life is worthy of care and defending. It is an unalienable truth that reflects the love in the heart of Christ. Take that message to the streets of Washington, to your own cities and neighborhoods. Do not let the sun set on ground soaked with the blood of your unborn children and your old, sick and disabled. May the sun rise of a new day rise where every life – even the most vulnerable – are valued and cared about and embraced. God bless the 2016 March for Life. God bless America. Thank you. 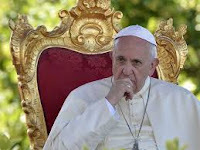 Much of this section is based upon Pope John Paul II’s Salvifici Doloris, “The Gospel of Suffering, 1984. Catechism of the Catholic Church (2281). John Donne, Devotions Upon Emergent Occasions, Meditation Seventeen.